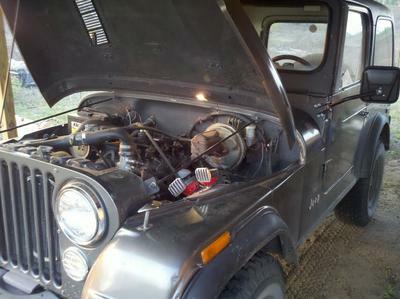 I bought this Jeep a couple of years ago and it is all original, but I can't find any history of them putting this motor in them. Maybe AMC put a few in them before they got the GM contract with the Isuzu diesel. Wish I could find some information on it. Larry's Comment: Kyle...check the serial number and build plate for the location of your Jeep's build. If it was indeed built here in the USA I have seen no records of a CJ with a Peugeot Diesel engine being exported or built for local consumption. It may possibly be one of a number of foreign built Jeeps licensed by AMC at the time. Are you certain that this is the original motor, or possibly a well done conversion? You are correct about the Isuzu Diesel of that era being built and exported out of the country between 1980 and 1982. The only known diesel engine produced in the CJ for USA consumption was the British built Perkins Diesel from 1961 through 1969. The Peugeot 2.1td was put in Europe licensed built CJ7's. The tag on the firewall states it was built in Ohio. 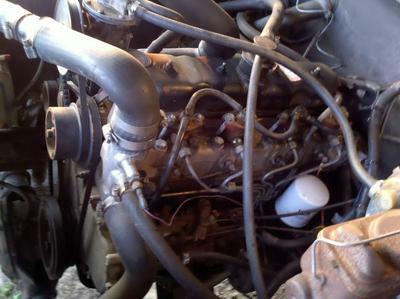 It has a sticker on the top radiator support that says this vehicle was retrofitted with a 1979 Peugeot motor. The hood has an air induction cut out on it that I have never seen before. It is original because the factory pinstripes that are faded away on the hood go around this air induction. One really has to see this thing in person to believe. There is a car museum in Tallahassee and I think I'm going to take it there and see if he can help me out. I have a 1953 Willys with a Peugeot XD2 engine in it. It has a Belgium title and tags on it that it was in the Belgium army. Came with the Willys army trailer. I am trying to find parts for the motor. Can anyone give me an Idea where to locate parts for this Jeep? The only thing I've bought for my Jeep so far is a voltage regulator and I found the exact one on ebay. I was thinking if I ever needed some serious part I would have to find them on line over seas and have them shipped here. If you find a good place let me know please. 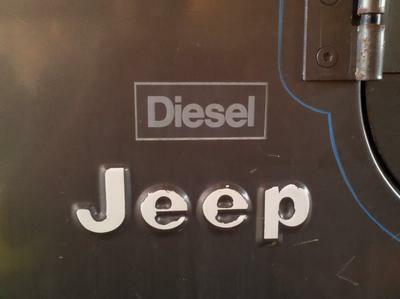 I think your Jeep is built with a Renault 2.1 diesel engine. They where built when Renault was dealing with Jeep in the early 80's. These Jeeps where sold in France and Belgium. There are still a lot of parts available over here, so when you need some just let me know. They were not very popular over here, because the engine was too small. The Jeep must also have a name plate on the grille with "Distribue par Renault". A friend of mine has still the original catalogue. Almost all 1980s CJs with Peugeot diesels, in the US, were not actually factory diesels. A small company in Auburn, Ca. made a deal with AMC to get factory new CJs without the engines, delivered to them. They then installed the Peugeot diesels and sold them with the factory full warranty on everything except the engine, which they warranted. The company did a very brisk business for a couple of years until the Calif EPA caused them to go out of business. Thanks for the feedback. I haven't been on here in a long time. Still loving the Jeep! If you lived in Eldorado County California around the early '80s you could get a new Jeep with a Peugeot 505 truck diesel installed at Victor AMC Jeep dealer in Placerville. My dad had an '81, it was the Laredo in dark brown with a nutmeg hardtop. Pretty gutless on the freeway but could idle up a hill while you walked outside. It had a hand throttle knob on the dash. They put a heavy quilted pad under the hood to help with noise and a nice cover on the grill for cold weather. I would have it today if dad hadn't sold it back in the late '80s. I heard the new owners pulled the motor out for a gas 4 cyl. OMG! The dealership changed hands since.